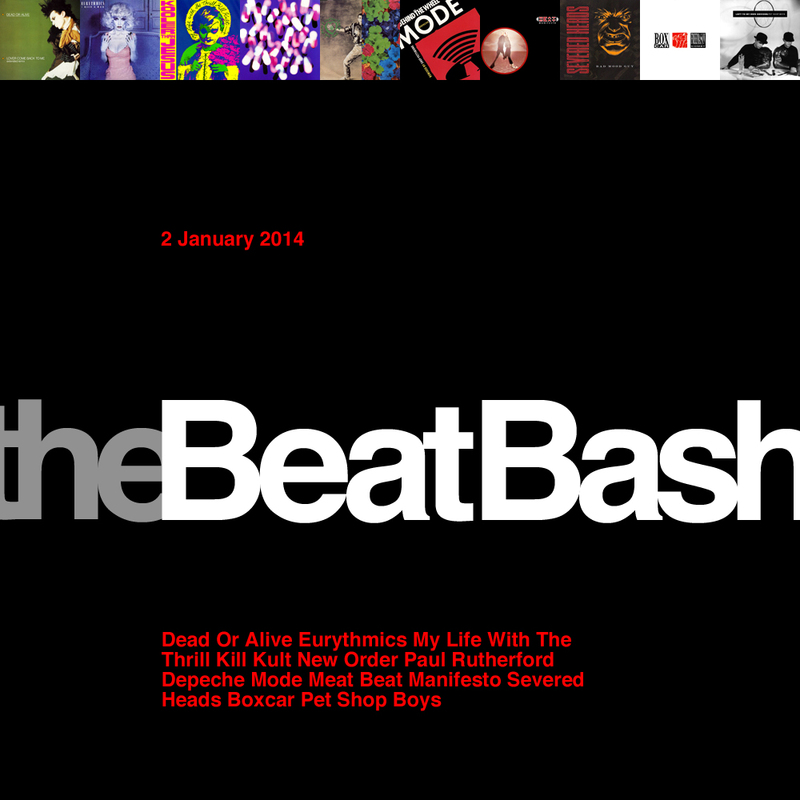 Regular Radio Clash Live contributor Jeb Edwards aka 50 Pound Note is doing a new regular mix series called The Beat Bash named after the radio show he hosted in the early 1990′s – and of course as with his other mixes such as Kiss The Future and the 50 Pound Note podcasts you’ll be able to hear the latest Beat Bash on Radio Clash Live on Saturday night from midnight to 1am (GMT). The first installment is up and it’s very good – including tracks from Dead Or Alive, Eurythmics, My Life With The Thrill Kill Kult, Paul Rutherford, Depeche Mode, Meat Beat Manifesto, Severed Heads, Boxcar, Pet Shop Boys and New Order. Looking forward to more nineties-tastic mixes, and the timing couldn’t be better since that sound is very ‘in’ at the moment, what with Disclosure and Friend Within amongst many others updating the classic garage and house sounds for a new generation.